Vitamin deficiency in the body will cause the disease symptoms. Signs of vitamin A deficiency in the body is very diverse, most often symptoms found in people who are deficient in vitamin A is the presence of eye diseases or disorders of the eye. For example, night blindness, cataracts, and decreased visibility. It also led to a reduction in corneal blindness, vitamin A deficiency also causes changes in the shape of bones, stunted growth. Even cause damage to the teeth, atrophy tooth-forming cells. Some experts also said it could cause problems in the bowel, bladder, brain and spinal cord. In addition, diseases such as skin cancer that attacks the skin, rough skin, chapped skin and measles can also be caused due to deficiency of vitamin A. In the intestines and urinary tract, vitamin A is very influential in keeping the intestinal walls to keep it as their function to work optimally. You also know that the intestines absorb various nutrients in food and water. If the intestinal wall disrupted as a result of vitamin A intake reduced and this will affect the absorption of water and nutrients to be disturbed. The result is a urinary tract infection due to the lack of optimal water absorption every day. Lack of vitamin A will also reduce the ability of cells to produce mucous glands. This causes the skin to become dry and rough and difficult to heal wounds. Mucous membranes which can not produce a fluid mucus perfectly, will be susceptible to bacteria (infection). So that mucus is very important to maintain skin moisture. At a more acute level, the skin can become chapped skin to cancer. Actually, the skin itself has the retinoids ability to influence the development of epithelial cells and increases the activity of the immune system so that it can prevent skin cancer. Vitamin A is influential on immune function in humans, although the mechanism is not known with certainty. Retinol appears to affect the growth and differentiation of B lymphocytes are leukocytes that play a role in the process of humoral immunity. Then the lack of vitamin A can lower antibody responses is dependent T-cell lymphocytes that play a role in cellular immunity. Below are an effect of vitamin A deficiency is associated with the body's defense (immune). Abnormal keratin in the respiratory tract, genitourinary tract, and the ocular surface. Loss of cilia of the respiratory epithelium. Mikrofili loss of the small intestine. Decrease in goblets cells and a mucin production in the mucosal epithelial. Damage to the function of neutrophils. Damage to the function of Natural Killer cells (NK​​) and NK cell count decline. Changes T helper type 1 in immune response. The destruction of the antibody response to T-cell dependent and independent antigens. Therefore to prevent vitamin A deficiency, it is advisable to increase the consumption of foods containing vitamin A. Foods that contain lots of vitamin A include liver (beef, chicken, turkey, fish) (6500 mg 722%), carrots (835 mcg 93%), sweet potato (709 mg 79%), butter (684 mg 76%), spinach (681 mcg 76%), spinach (469 mcg 52%), pumpkin (400 mg 41%), cheddar cheese (265 mg 29%), melon (169 mg 19%), eggs (140 mg 16%), papaya (55 mg 6%), mango (38 mg 4%), beans (38 mg 4%), broccoli (31 mg 3%), and milk (28 mg 3%). 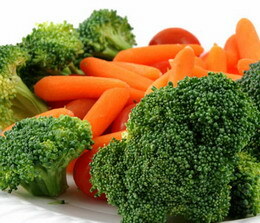 For more complete vitamin A rich foods you can read at post here.